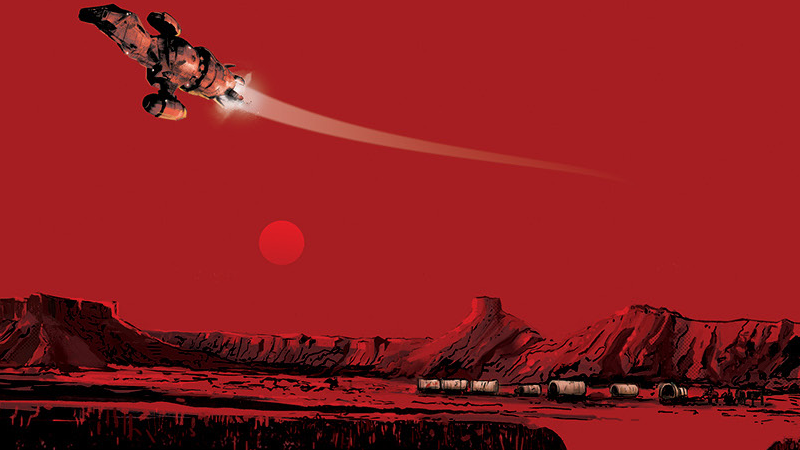 The Serenity carves a crimson path on the cover of Firefly #4. Despite the fact that Firefly barely lasted a season on television over a decade and a half ago, there seemingly ain’t no power in the ‘verse that can stop it. From Serenity, to books, to yes, other comics, there’s been many attempts to continue where the show left off. Boom’s new comic wants to do that too, but it also wants to explore the wider world Firefly didn’t get a chance to. But beyond offering diehard Browncoats the comfort of a world where Firefly never got canned, the series wants to use its latest second chance to not just keep the stories coming, but also expand on the worldbuilding seeds left sown, but unnurtured, by the show’s untimely end. To learn more about how Firefly wants to delve into the wider ‘verse, we recently spoke to Pak, McDaid, and series editor Jeanine Schaefer to learn more. io9: Tell us a little bit about your personal history with Firefly as a franchise, and how that informed you coming onboard this project. Greg Pak: I had actually never seen the TV show before. Jeanine [Schaefer], the editor, called me up and was like, “Greg, I need you to write this book”, and I was like, “What do you mean, I haven’t actually seen the show...”, “Well, watch it!” So, I watched it and I loved it. You know, and I just got totally sucked in. I’d seen the movie. I’d really enjoyed that. But then going back and watching the show—she literally told me, “just watch the pilot,” so of course I watched the pilot, but then I had to watch all the rest of it, you know? Over the course of a couple of days. And I just got totally pulled in by the worldbuilding—I grew up in Texas and I was a sci-fi nerd, so the whole sci-fi Western thing just totally grabbed me. But mostly, of course, it was the characters. This amazing group of characters, and it’s this tremendous mix of humor and drama, and I just loved it. So, I got hooked. Dan McDaid: My answer is basically Greg’s! I’m sorry, I wish it wasn’t true. I think I’d seen about five episodes, in the early noughties on Syfy, and said “Oh, that looks good,” but never any more than that. Never came back to watch it for whatever reason. And then I saw Serenity, and it must have been—I think was 2005 or 2006 when it came out? [editor’s note: 2005! ]— and the movie’s really good. I think, necessarily, I would see what was going on entirely, and I would think, “this is cool,” “she’s a little edgy-and cool,” and “that guy’s got a cool jacket”—this is fun, it’s a fun thing to watch. And then I hadn’t really thought about Firefly for about 12 years, until Boom reached out to me and said, “Do you want Firefly?” But as soon as they asked me I knew immediately I wanted to do it. Because it’s so visually cool, you can’t help but immediately go “yes, that’s the stuff. That’s what I want.” And then I got caught up and watched all the episodes. And at the end I found myself gutted that that was it. It was ridiculous. So, we’re it. That’s it? We’re it. Jeanine Schaefer: So, I am a huge Firefly fan. I watched it every week as it was coming out, we’d have block parties at a friend’s apartment of mine...I loved it. We would tape it and then watch it again, then talk about it after as the comics were coming out. So when I got the call from Boom, saying, “Hey, we have this opportunity, would you be interested?” I like, blacked out and woke up at my desk, because I could not say no to it. It was the perfect opportunity—it has everything that I love, the story, and having something I love so much be cut short, the opportunity to add to it was like, a dream come true. It’s surreal to be working on characters that I love so much and have such a connection to me for so long. 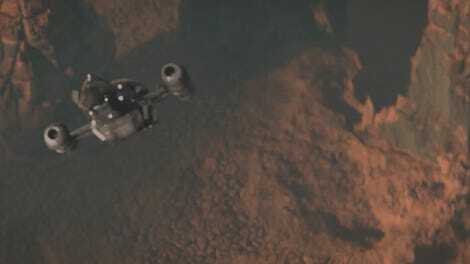 io9: What are you hoping primarily to explore within this series, and what are you hoping to add to the world of Firefly as we know it from this limited capacity of the show and Serenity? Pak: Right, I was really attracted to the project and those characters, but then also because of the world building opportunities. I mean, I did Planet Hulk, back in the day, I’ve done a fantasy/Western called Kingsbury West—this whole idea of building a world, I especially liked the outdoor adventure/Western world. It’s always compelling to me. So to be able to play in that sandbox is great. I was also really intrigued by the fact that this is a world that stems from...it’s a hybrid culture, a combined nation, including China. And I’m Asian-American, and I loved the opportunity to work with Asian-American characters, so it’s been fun. And we’re introducing some Asian-American characters into the Firefly universe. Schaefer: I was like, “you’re writing this, immediately. There’s no backing out now. It’s done, it’s over.” I’ll add real quick when we got the nod from Joss [Whedon] that we could explore the Unification War more, he was kind of giving us the leeway to really dig into that. That was super exciting. As a fan, that was like...that was the biggest lunge forward. io9: I was going to ask, since the Unification War comes up as a major aspect of the first issue. We start seeing a bit more of Mal and Zoe’s past, and if that was something we could expect to see more of. But it sounds like that’s going to be something we’re getting. Pak: It’s not going to be central, but it’s there. Schaefer: Greg has really thought this out. A real, 12-issue arc where we’re going to be drawing people kind of through the experience of this thing Mal has done with Zoe in the past coming back very suddenly. And influence what’s happening to them in the present. And so I think Greg and Dan, also—the way you’re presenting these—we wanted to kind of evoke that feeling, too, of being in the person’s point of view as they’re experiencing that again. Do you know what I mean? McDaid: From an artistic point of view, one of the things that fueled me as the project started was we weren’t just going to be doing essentially a sci-fi comic and a Western comic hybrid, we were also expected to be doing something kind of akin to a war comic. So, something with a lot of blood and thunder, and intense feelings and shadows, and that’s been a lot of fun. It sounds weird to say that’s fun, but it’s been fun to dig into that and show this dark side of the Firefly universe. I was taking my cue a lot from the—for me, the best bit in the entire show—the opening five minutes of the pilot. Where you see the war, the battle for Serenity Valley. And that kind of low light panic and desperation and loss the characters have, it’s a real pleasure as an art to really get into that sort of territory. Schaefer: And to be clear, the question if we’re going to see more of that? Yes. We’ll see more parts of that as we go on. Greg has really structured it in such a great way that the sort of balance of present and past starts to kind of reverse itself—until we see more and more of the war as it happens on the battlefield. Preorder variant cover art for Firefly #4.
io9: One of the more ephemeral and challenging parts of any Joss Whedon adaptation is trying to capture that very specific tone and vibe his writing has, and the way he builds characters. What’s been, for you both, what’s been the most challenging part of translating that sort of essence that makes his work and shows so beloved into a different medium and this format? Pak: The funny thing is it actually hasn’t been a challenge, but a pleasure. In the sense that Joss—he’s got such a distinctive voice, but he’s imbued each of these characters with such clear attitudes and desires and conflicts so that you take any two of them and put them in a room and you have a scene, you know? It makes it easier to write. And he’s established a tone that is this great mix of humor and drama where the humor actually serves the drama—all these jests fuse, but the drama just keeps increasing. All of that is solid gold. And that’s also very, I feel like, in my wheelhouse. I think Jeanine reached out to me probably because of a similar kind of commitment to true emotion and also an understanding of the way humor works with drama. And a love of people who talk too much. I think that kind of combination is already there in my own work and what I do, so, it’s very natural. So I’m very grateful for all the groundwork that Joss has set here and to everybody who worked on the show. It makes it a very fun and smooth thing to kind of step into. And then you’ve got to work hard to not overindulge yourself because it opens the door to really have a lot of fun with the dialogue, you know what I mean? And so, the one note to myself from time to time is I’ve just got to make sure—you could easily sit down and write pages of just banter because it’s so much fun. But all that banter needs to serve a purpose. Every one of those little moments needs to serve a dramatic turn in the story. So, it’s all a blast. Firefly #1 is available now.